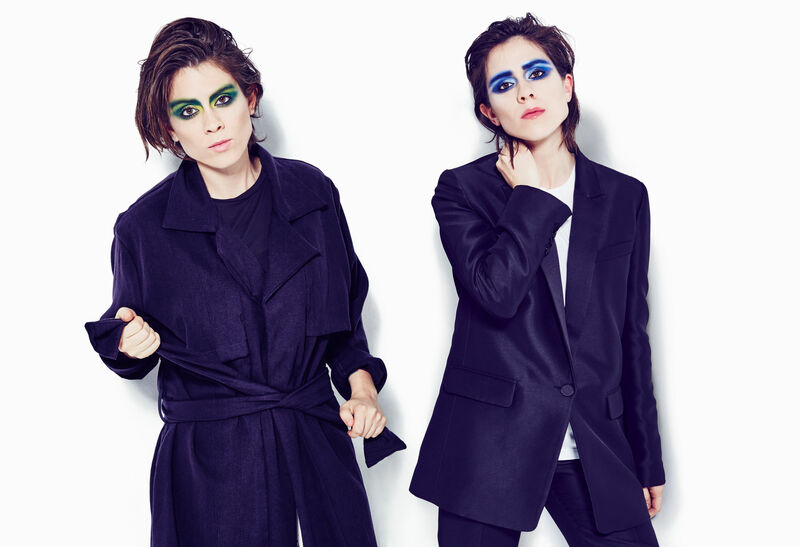 It’s becoming difficult to keep up with Canadian pop supertwins Tegan + Sara and their recent avalanche of music videos, which continues with the release of the clip for ‘White Knuckles’. Lifted from the duo’s recently released eighth album ‘Love You To Death’, the clip for ‘White Knuckles’ follows on from those for ‘Boyfriend’, ‘100x’, ‘BWU’, ‘Faint Of Heart’, ‘Hang On To The Night’ and ‘Fade Out’ (from ‘The Intervention’ soundtrack), the last four of which have all dropped within the last month. This one’s pretty stark, but utterly impressive, especially because of the truly phenomenal contemporary dance moves performed in the middle of the forest by dancers (and choreographers) Mela and Kaner. There’s much power in amongst those trees.